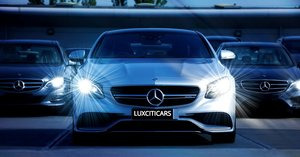 Luxciticar is a one-stop service provider for all your local, outstation and airport transfer needs. Now you can choose from our superb range of chauffeur driven vehicles to get you to your destination. Our fleet features the latest models from Sedan’s & SUV’s and our drivers are professionally trained to make your ride as smooth and comfortable as possible. You choose the level of luxury and we will supply professional chauffeurs who have excellent route knowledge, driving and communication skills to get you to your destination on time safely.